IT'S BEEN AN INCREDIBLE YEAR AND HUNDREDS OF CHILDREN HAVE BEEN IMPACTED. THANK YOU FOR HELPING MAKE IT POSSIBLE! Working with children in conflict zones is no easy task and not for the faint of heart. Deep emotional wounds, hungry bellies, and scars from physical abuse, absent parents, constant violence, and no hope erode life from the heart of a child. This leaves them feeling broken, desperate, and adrift. A state that easily becomes comes their daily reality. Even in the broken places, they are not lost. By recognizing the damaging forces at work in a child’s life, we have designed our projects to provide holistic care and restoration for the Whole Child. We provide food, shelter, medical care, security, adult role models, counseling, playtime, classroom learning, clothing, future opportunities, routines and nurturing to help restore what they have been missing. Once these vital elements are in place, a child can begin to feel physically, emotionally, mentally, and relationally whole again. When we look into the eyes of our own children, we dream of them living lives full of passion and confidence. Our hope is no different for the children we serve in our projects. Though their circumstances may look different, they each posses incredible potential and, with the right support, can bring extraordinary change to their tribes, villages, regions and countries. Your gift ensures the broken pieces of a child’s heart are restored. Will you consider giving generously and helping more children feel whole and secure this holiday season? After months of negotiations, our team was allowed to promote educational opportunities to children in Muslim military camps in the Philippines. Even though we were told, “kids around here prefer guns over pens,” 40 boys put down their weapons and joined our scholarship program! Your generosity helped cover each boy’s tuition costs and provided them with uniforms, shoes and school supplies. Even though some of their faces were hardened from years of violence, we glimpsed a few tears as we handed out the shoes and supplies. There was great hope on the teacher's faces as these young men began to pursue a new dream of education and peace, instead of conflict. Due to corruption and poverty, these boy’s families cannot afford school tuition, meaning we are their only hope for education. Our program will equip and empower them for a life outside the army so they can provide for their families and become advocates of peace, instead of violence. Eight of our boys are in the top ten of their class! Education plays a vital role in supporting the WHOLE CHILD. There are hundreds more children who, given the opportunity, would choose to lay down their gun and pick up a pencil. We recently launched a Rebel Army prayer initiative in the Philippines where local churches and leaders are joining in prayer to see longstanding animosity abated. In just a few months of concerted prayer, we have seen a change of heart and have been shown that “the rebels” are indeed “ripe for harvest” (John 4:35). Over 50 new churches have committed to praying specifically for the army leaders and children. A beautiful story showcasing some of the fruit from this movement involves two New Peoples Army (NPA) women. They contacted one of our pastors asking how they could have a bible study in their community and if he could provide transportation to the city church. Although he couldn’t provide transportation, he sent another pastor to their community, and a new house church was born! Amazingly, 14 people attended their first Sunday meeting. Muslim members of the NPA desiring to become followers of Jesus, allowing the gospel into their communities and establishing house churches are indeed breakthroughs! Will you join with us and our Filipino partners in prayer? We are asking that rebel hearts continue to be opened, tensions with the church begin to cease, children are set free from soldiering, and radical change affects the hearts and minds of key leaders. The Lord continues to show his faithfulness to us in this region and the fruit born from this work is truly beautiful! One of the exciting but hard situations we’ve encountered is an overflow of children in our Myanmar projects. In our Northern Children’s Center, we have 25 children officially registered. But we also have another 40 children coming to attend school from the local area. The kids spill out onto the porches. It’s so hard for our staff to say no – they give them paper and pencils and try to feed them a bit of lunch. 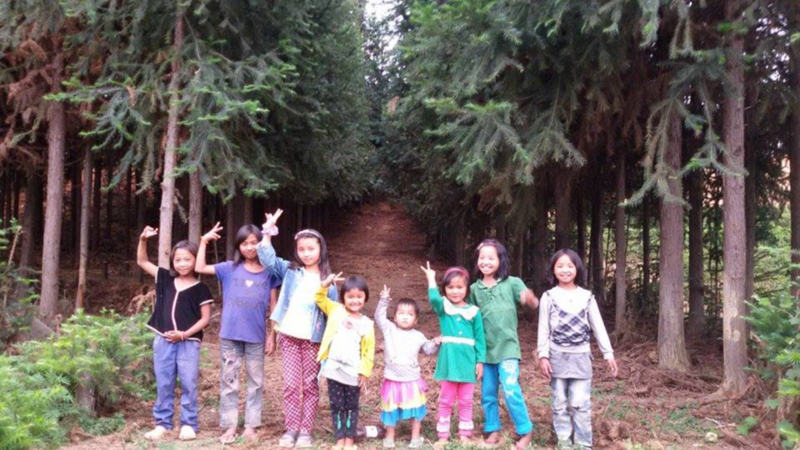 The same thing is happening at our Shan State Community School, where we have about 120 children in our care. But approximately 200 children are showing up from the surrounding regions. In classrooms where we should have 25 to 30 children, we have 45 to 50 crowding in from wall to wall. This is an especially tough space because the government feels it can come and take children whenever it pleases. But we know every child educated is less likely to be poor in later life or end up a front line soldier. These kids are incredibly hungry for knowledge. It’s a good thing when our projects are successful and children are being impacted, even when it stretches us a little thin. We look forward to expanding our Myanmar projects and welcoming even more children! On 8.4 acres, just outside the heart of Malaybalay City, Philippines, our pilot farm project is thriving! Our team, in partnership with the former gangsters of the Malaybalay Youth Transformation Movement and local tribal farmers, have been working very hard preparing the land, planting, harvesting and bringing crops to market. The main vegetable, pechay, exceeded our expectations and grew beautifully! The tribal communities, living predominantly in the remote countryside, rely solely on farming for their means of survival. But long running civil conflicts, government neglect and corrupt middleman systems have left communities broken and people desperate. Poverty and hunger are rampant, and there is little opportunity for work or sustainable income. A strong, rebel army presence puts children at high risk of recruitment and creates an even more volatile environment. By providing practical, alternative solutions, like The Red Farm, we can empower communities and provide opportunities for children to reach beyond the bleak reality of their current circumstances. The farm is now a source of hope and a constant reminder of the change and freedom that is possible. Projects like The Red Farm not only provide a daily, character building activity for children to be involved in, they also help provide future opportunities and stability. These are vital pieces in supporting the WHOLE CHILD.